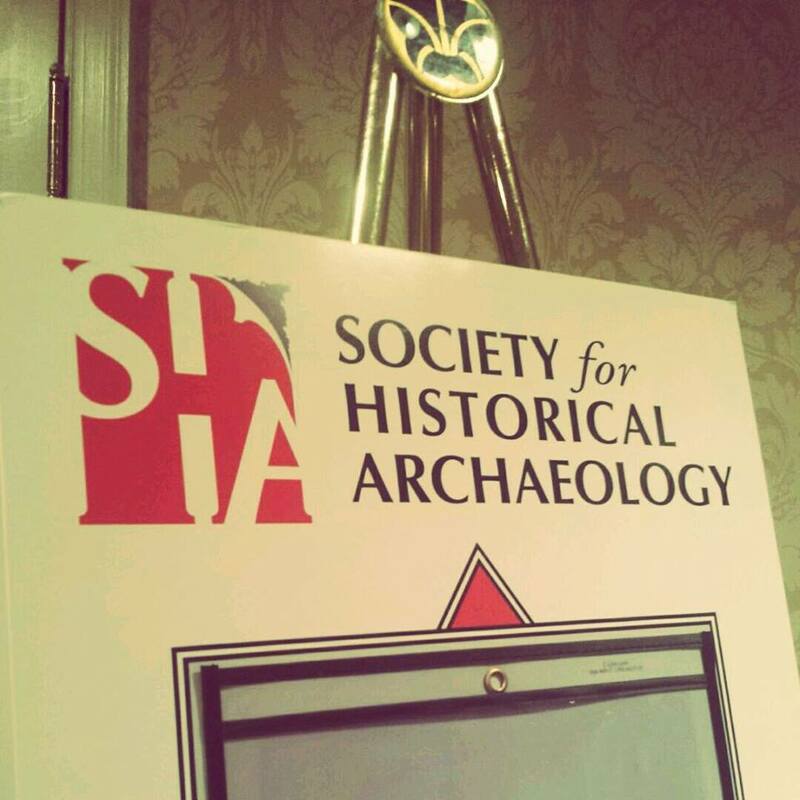 It’s a new year and a new semester here at IUP and I, like many archaeologists, kicked off 2016 by attending the Society for Historical Archaeology’s (SHA) annual meeting in Washington, D.C. This was my first international conference, so I was very excited to see some presentations, network with other archaeologists, and reconnect with old friends and colleagues. I have always felt that attending professional conferences is an important aspect of being an archaeologist, especially as a student. Conferences are a place where professionals come together to share their research and build professional relationships with one another. These meetings are particularly valuable for those who are just starting their careers, as they not only help you expand your knowledge of the field, but they allow you to meet potential employers or other individuals who can help to guide you through the somewhat unique process of becoming an archaeologist. For instance, I met a group of students and their advisors, Dr. Neusius and Dr. Chiarulli, at my first regional conference in 2013. They spent half an evening telling me about the graduate program they were affiliated with, which I had never heard of before, and gave me their business cards to hold onto until it was time to apply to grad school. The program sounded great, so I kept it in mind as I finished up my degree. Three years later, here I am at IUP. Conferences are great for a number of reasons. In addition to the professional advantages I just mentioned, they tend to be a lot of fun. Everyone is excited and happy to be there, and they are all raving about the latest archaeological news and making silly archaeological jokes that no one outside of this bizarre little world would understand. You also realize, especially at a conference the size of the SHA (attendance was approximately 1,400 people), how small a community this field truly is. Everyone seems to be well acquainted, and if they aren’t, they become acquainted. In my experience these meetings have always seemed to be about 50% business, 50% family reunion. I love it. 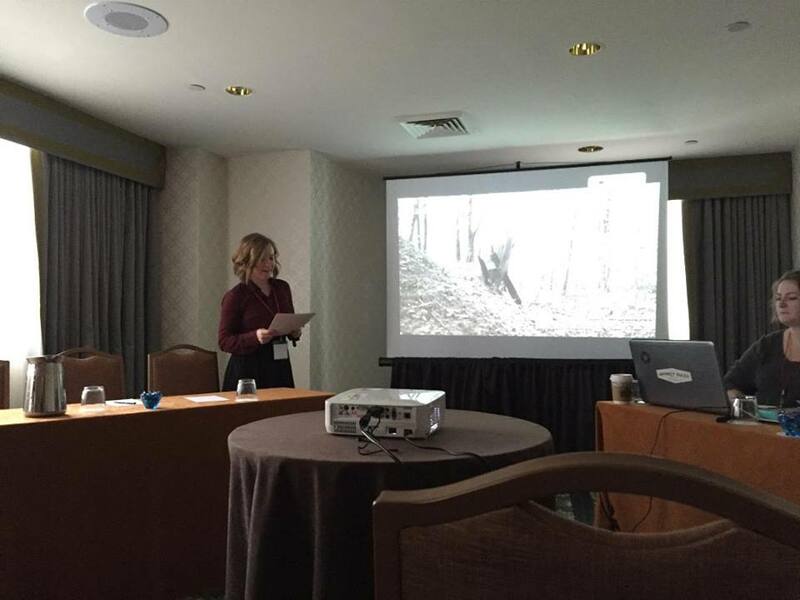 Me, dropping some knowledge about the black powder industry in western Pennsylvania. That’s not a question I would expect to hear in any other setting. Despite the size of the SHA, I was very happy to see so many familiar faces there, including a number of people from IUP. Our little graduate program was well represented, with a number of students (past and current) and faculty in attendance. In fact, Dr. Ford calculated that approximately 1% of the population of the SHA this year was affiliated with IUP, which is not bad for a young program this size! Most of the faculty and students presented in various formats, including posters, symposiums, and forums. I was very impressed by everyone’s work, and I’m glad we were able to share what we do with the larger archaeological community! Second year student Jay Taylor presenting on his research at Hanna’s Town. 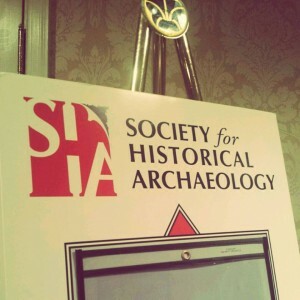 Spring is conference season for archaeologists, so we’ve got a few more meetings coming up that many of us will be attending and presenting at. 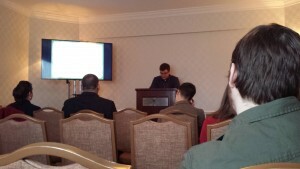 These include the Middle Atlantic Archaeological Conference in Ocean City, MD (March 10-13), the Society for American Archaeology Annual Meeting in Orlando (April 6-10), and the Society for Pennsylvania Archaeology Annual Meeting in West Middlesex, PA (April 15-17). Now, as I and my cohort enter our final semester of graduate school, is the best possible time for us to participate in these events, as they provide us a place to network with other professionals and share the hard work we’ve done for our theses with our peers. 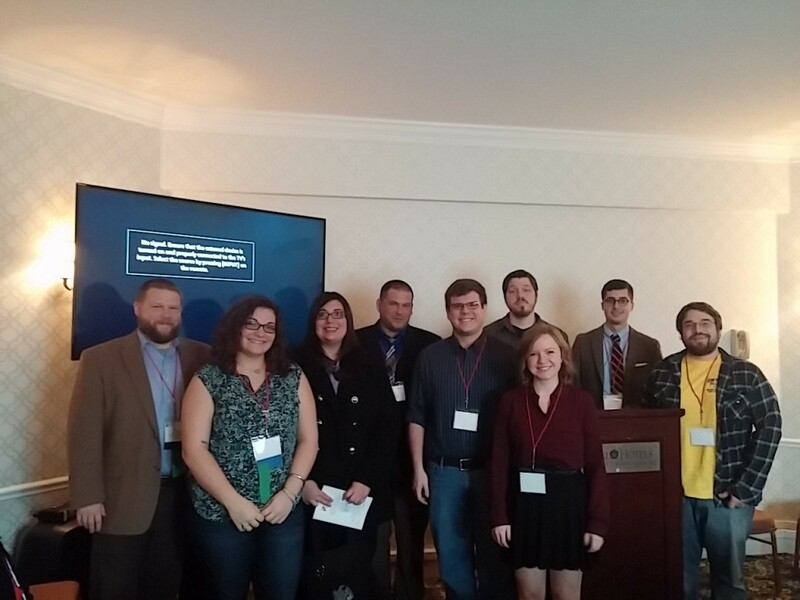 Dr. Ben Ford (far left) and an assortment of past and current IUP students at the SHA!